This entitles you to a full refund of the preliminary costs if you are not 100% satisfied with our service! Available to qualified customers only. Claims accepted up to 30 days from preliminary agreement date. Stroud Homes reserves the right to end this offer immediately and without further notice. Genuinely intend to build a new home within 3 months. 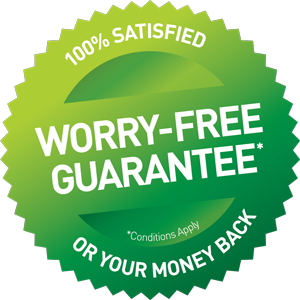 Signed “Stroud Homes Worry Free Guarantee” certificate.